UPDATE: New additional information and details for the show have been updated here. After Vietnam was said to be one of the cities for the Asian tour, C-JeS Entertainment officially confirmed the ‘The Return of The King’ tour in Vietnam on July 6. The organizer, TOV Communications, has been working in a full-scale to prepare the best concert stage of JYJ to meet international standards in terms of sound systems, lighting and stage set-up on par with JYJ’s shows in Seoul, Hong Kong and Beijing. The Vietnamese JYJ fans have showed a continuous support towards the concert, which will be held for the first time in this country, to welcome the JYJ members of Kim Jaejoong, Park Yoochun and Kim Junsu. After many surveys with local fans and discussing the price for the tickets with C-JeS Entertainment, the official ticket prices have been finally announced for the first round of online sales. 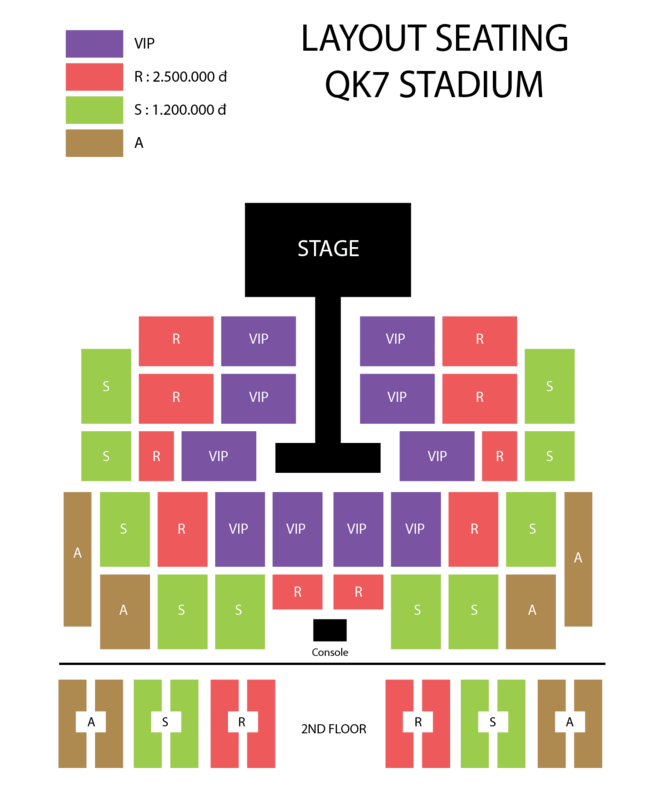 There will be four types of tickets: VIP zone, R zone of 2.500.000 VND, S zone of 2.500.000 VND, and A zone. Both VIP and A zones will be announced in the second round of sales. The first round of online ticket sales for R and S zones will start on July 28, 2014 at TICKETBOX’s official site. For further information on the concert, fans can visit the organizer’s official homepage or Facebook. 2014 JYJ CONCERT in HO CHI MINH CITY is an Asian tour by South Korean boy band JYJ to promote their second album, Just Us. The tour will commence in Seoul on August 9 and will continue onto Hong Kong (August 16) and Beijing (August 23). Vietnam will be the first stop in Southeast Asia and will be held in Quân Khu 7 Stadium on August 30, 2014.